Police are appealing for information after an attempted robbery in Wallsend. The incident happened at about 5.25pm on Tuesday at Windsor Grocers on Windsor Drive. A man entered the store and threatened the store owner. The man was challenged by the owner and ran off empty-handed heading left down Windsor Drive. The store owner was not injured during the incident. The suspect was wearing a grey long-sleeved hoodie, burgundy tracksuit trousers, Adidas trainers, with a knitted balaclava over his face and carrying a black backpack. 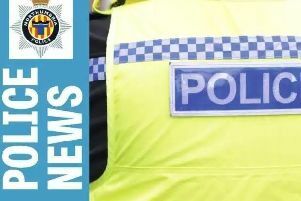 Officers are carrying out inquiries and appealing for any witnesses or anyone with any information to contact Northumbria Police on 101 and quote reference number 718 09/01/18, or alternatively they can contact Crimestoppers anonymously on 0800 555111.